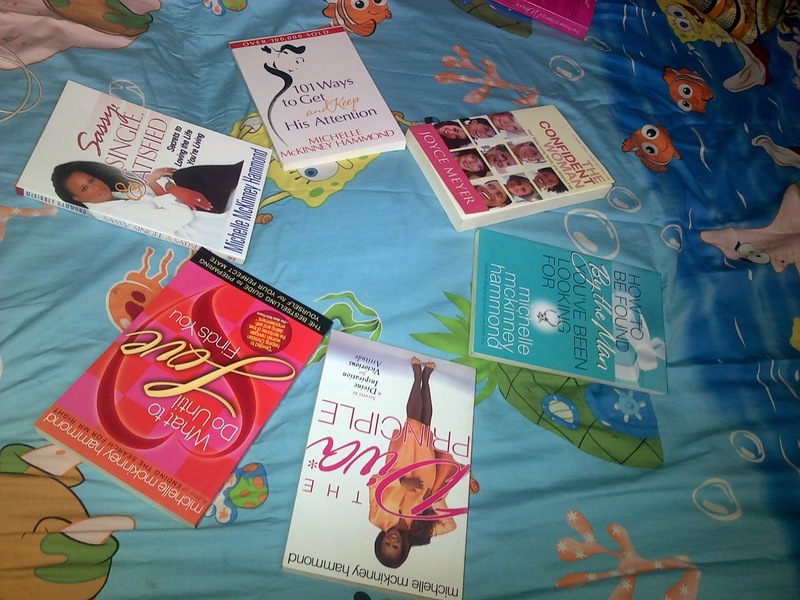 I got me some books authored by Michelle McKinney Hammond(MMH) and “the Confident woman” written by Joyce Meyer. After reading her book, “secrets of an irresistible woman”, i was wow'ed, purchased and read "the Power of a Woman" by this terrific author. At a point, I promised myself I was gon get more of her books but getting those books wasn’t as easy as I thought. Perhaps they"re scarce ('cos i couldnt get it from the store where i purchase my books) and i so hate the stress of Ultimate Search at bookstores. Google directed me all the way to Olx. Had to get in touch with the seller just to "sell it". I felt I’d appreciate it more if I could just get these books as “my Pre Birthday gift”. And Yaaaaaaaaaaaaay i did get "The Diva Principle, Sassy, Single and Satisfied, 101 ways to get and keep his attention, How to Be found by the man you’ve been looking for and What to Do Untill Love finds you(authored by MMH) alongside The Confident Woman by Joyce Meyer as my Pre-birthday gift. Would drop some reviews sooooooon. Love y'all and a big thanks to Nike and her brother who made it possible.